Sennheiser, known for its high-quality audio products, presents the GSA mouse pad series that’s available in three different sizes. The Sennheiser GSA mouse pads feature a high-quality, low-friction fabric with a rubber mat bottom that gives it a firm hold on your desk and any surface. It offers smooth and precise mouse movements to deliver accurate positioning that makes it ideal for gaming. Accompany your Sennheiser-powered gaming headset with the GSA mouse pad for a complete gaming setup. Check out our reviews of Sennheiser products here. 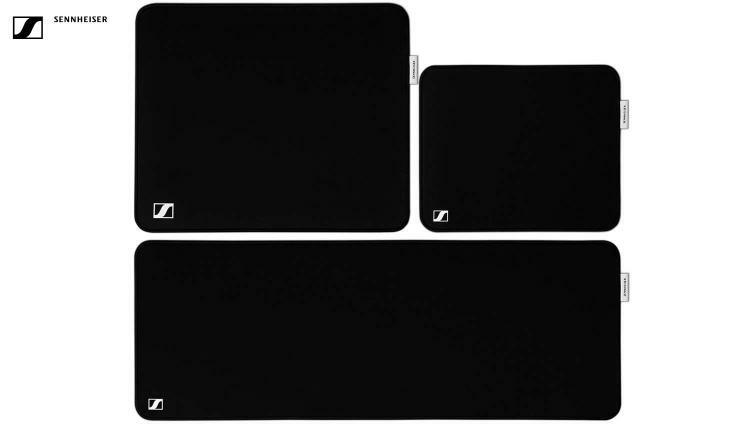 The Sennheiser GSA mouse pads are available in three different sizes - S (29 x 35 cm), L (40 x 47 cm), XL (32 x 92 cm). Pick a Sennheiser mouse pad that will fit your gaming style and gaming setup. The Sennheiser GSA mouse pads are now available. Learn more about the Sennheiser GSA mouse pads here.